Everyone at Wolper is committed to ensuring our patients receive the very best of care. Please read through the information below to ensure you have all the information you need to make your admission to Wolper as comfortable as possible. 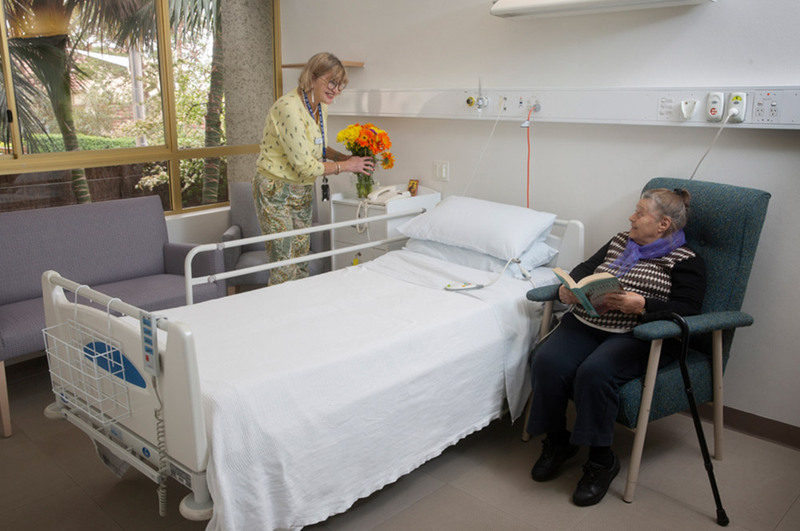 All 54 rooms within the Hospital are private and well equipped, offering a modern ensuite, air-conditioning, internet and entertainment facilities. Our library, outdoor terraces and landscaped garden provide areas for visits, relaxation and reflection. There is free parking within the Hospital grounds and also in the surrounding streets. All food is prepared with the advice of our consultant dietition and is strictly kosher. Shabbat and all Jewish festivals are celebrated with traditional foods and special events. Medicare, private health fund membership and any relevant entitlement cards. List of current medications and dosage information. Medications must be in date and in their original boxes. Comfortable day clothes, shoes (not scuffs) and night attire. Front buttoning clothes (for people with upper limb issues). Swimming attire (for patients participating in hydrotherapy). Please leave all valuables at home. Wolper does not accept responsibility for loss of valuables. Nourishing meals are vital to our health and wellbeing which is why our kitchen staff work in close consultation with our dietitian to produce menus that are delicious and that meet the needs and preferences of our patients. All ingredients used in the kitchen at Wolper are kosher certified and supplied by Food Safe approved suppliers. Kosher means “fit” or “suitable” in Hebrew and refers to the body of Jewish law dealing with the foods Jews can or cannot eat and how those foods must be prepared and eaten. These food laws form a vital and integral component of Jewish life. Wolper is the only strictly kosher hospital in Australia and this unique environment requires your cooperation. In order to maintain control of this environment we must restrict food and drinks being brought into the Hospital. This means that no food or drink (including coffee) is to be brought into the Hospital. The only exception is whole fresh fruit, which has not been cut. Our coffee cart is located on the ground floor serving kosher hot and cold beverages as well as bagels, wraps, pastries and other snacks. 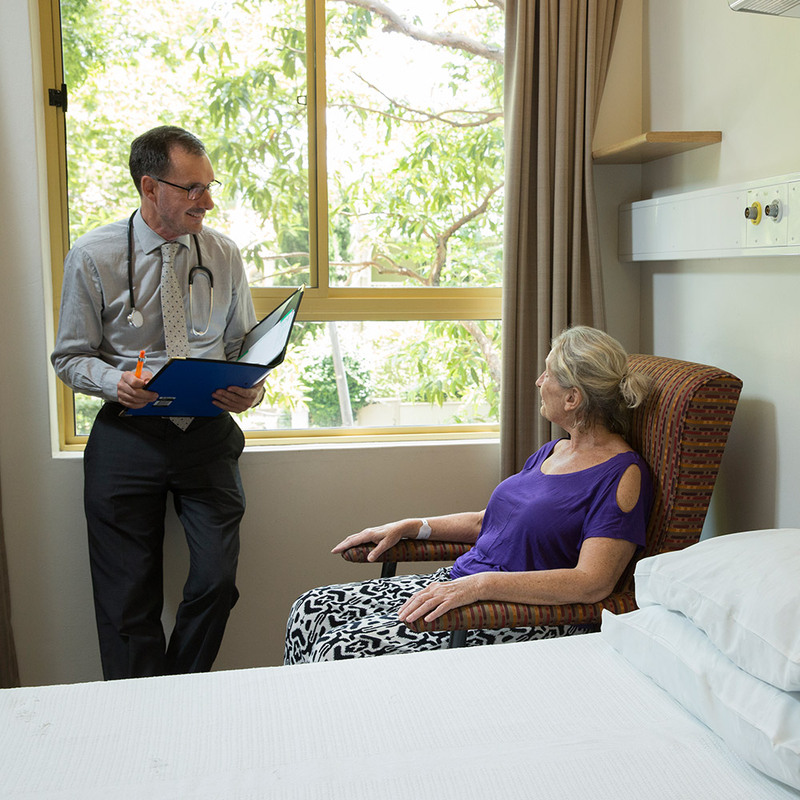 We encourage our patients to be actively involved in their bedside handover including asking questions so that they are informed about their medical condition, about the care they are receiving and their care options. We are also happy for a loved one or carer to be present during bedside handover. Bedside handover occurs at least once every 24 hours. 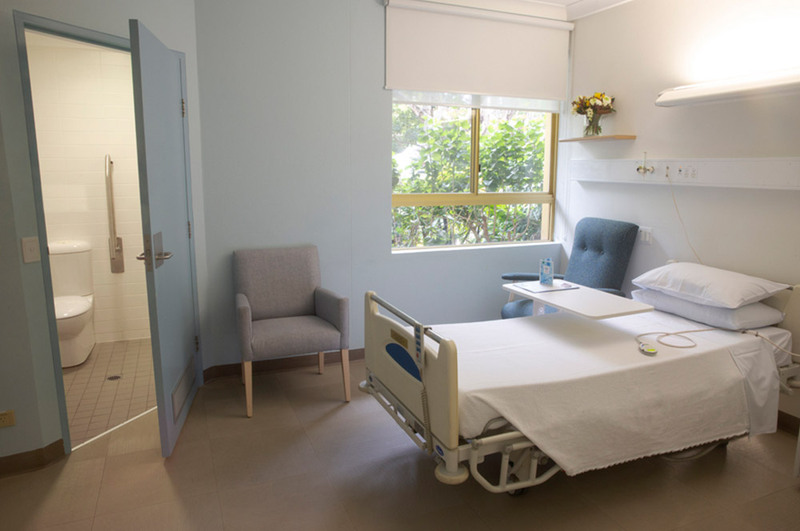 During this handover process, staff will also be performing a safety scan of the patient room to ensure the patient’s call bell and mobility aids are within reach. We know that you know yourself, or your loved one best. This is why we want you to let us know if you notice a worrying change. R.E.A.C.H. is a communication process which will help you share your concerns with the staff caring for you or your loved one. 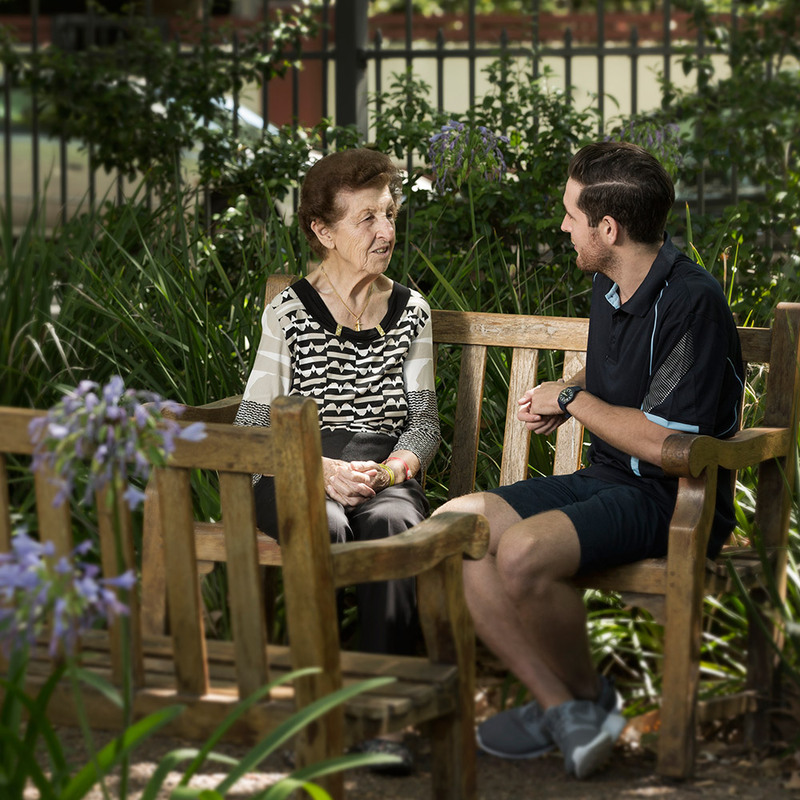 Recognise – You may recognise a worrying change in your condition or the person you care for. Engage – Engage (talk) with the nurse or doctor. Tell them your concerns. Act – Ask the nurse in charge for a “clinical review”. This should occur within 30 minutes. Call – If you are still concerned call for further assistance by pressing the patient call bell. There are flowcharts on escalating care in every room and all patients are given a REACH brochure in their information pack on admission. With their doctor’s approval, patients are able to leave their ward for short periods. Patients must advise the nurse caring for them before leaving the ward as they will need to sign a leave form. 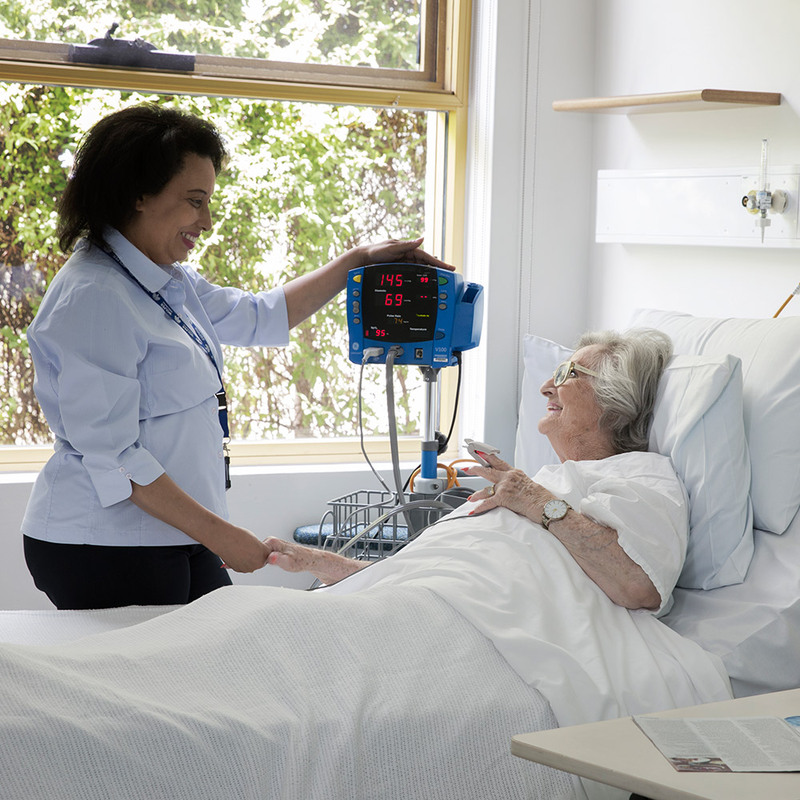 All patients must be accompanied by an adult family member or friend when leaving the ward. Wolper is a non-denominational hospital and welcomes all people regardless of religion or creed. Rabbis from a number of different synagogues visit the Hospital regularly offering religious counsel, advice and assistance. Hospital staff can arrange for other Rabbis or ministers of any religion to attend the Hospital. This can be arranged by speaking to our nursing staff. For Wolper Jewish Hospital, your discharge from the hospital is as important as your admission. Discharge planning commences on the day of admission, and patients and their families or carers are heavily involved in the process. Our nursing staff ensure a safe, well-coordinated discharge. If there will be any special needs when you return home, please discuss these with the doctor or team during admission . Our discharge planner will consult with the patient as needed. What happens after my discharge from Wolper Jewish Hospital? Following discharge, the treating physiotherapist can arrange follow up therapy as required. This may be at Wolper or elsewhere depending on the treatment needed and the patient’s location. For those able to continue being assisted by Wolper, we offer Day Rehabilitation and MoveWell community exercise classes. 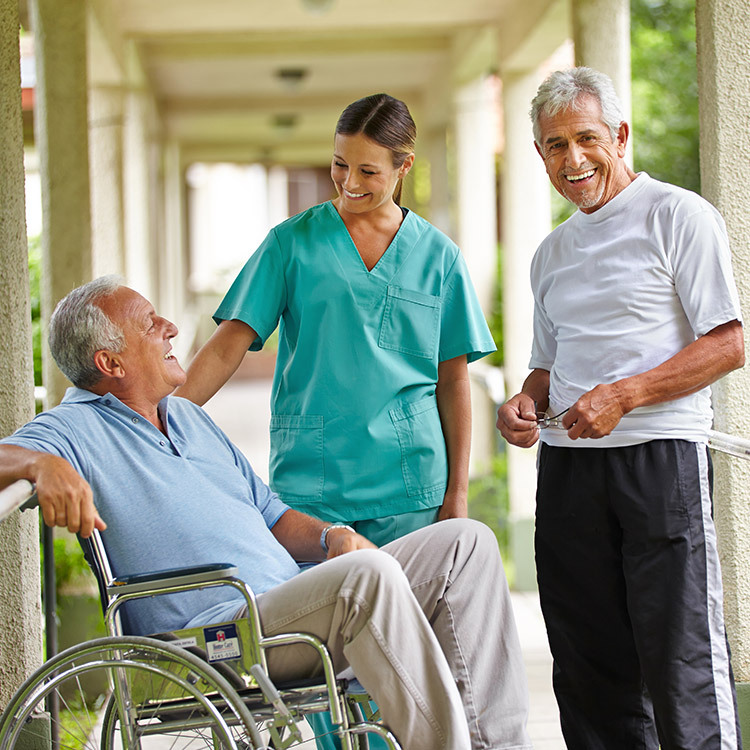 The Day Rehabilitation program runs for four weeks and usually requires three hours of participation at each appointment. The tailored program will include at least two forms of therapy being physiotherapy, hydrotherapy or occupational therapy. Once the Day Rehabilitation program has been completed, fitness can be maintained by attending our MoveWell exercise classes, which include classes such as aqua-aerobics and aqua-core, tai chi, strength and conditioning as well as falls and balance prevention. On admission to Wolper Jewish Hospital, patients are requested to sign an Informed Financial Consent form which provides an estimate of fees and charges that may be accrued while in hospital. Patients are liable for all hospital charges until the details of their health insurance are confirmed. It is very important that patients approach their admission to hospital well informed of the financial consequences. Please read the following information and talk to our admissions staff regarding any concerns or queries. Is there an “excess” payment on the insurance policy? Are there any co-payments required for each night in hospital? Does the policy exclude some treatments, for example cardiac, orthopaedic or rehabilitation? Please note that if the patient has been a member of the health fund for less than 12 months the fund may not accept liability for the costs of the admission, eg if the patient’s condition or any symptoms of their condition existed prior to joining the health fund. Any excess will be required to be paid on admission. Claims for hospitalisation will be made directly to the patient’s fund. An account will be issued for any outstanding balance not covered by the fund. Depending on the health fund, some ancillary items may appear separately on our hospital account. Patients will be required to pay the account upon discharge. Pharmacy – medicines for pre-existing conditions, certain medicines required during the admission and discharge medications (varies between health funds). Imaging or x-ray including ultrasound. Purchase or rental of mobility aids such as walking sticks. Equipment such as over-toilet aids and cushions. For example, if the treating doctor orders an x-ray during the admission, the patient will be required to pay for the cost of the imaging service up-front. A two-way claim form to Medicare and the health fund can then be filled in to partially recover the costs. Please check with the relevant health fund for full details. Eligible veterans and war widows’ accounts will be forwarded to the Department of Veterans’ Affairs for payment. Patients should supply insurer details and claim numbers, as we require written approval before admission. If any aspect of your stay at Wolper is not satisfactory please advise the nurse in charge. 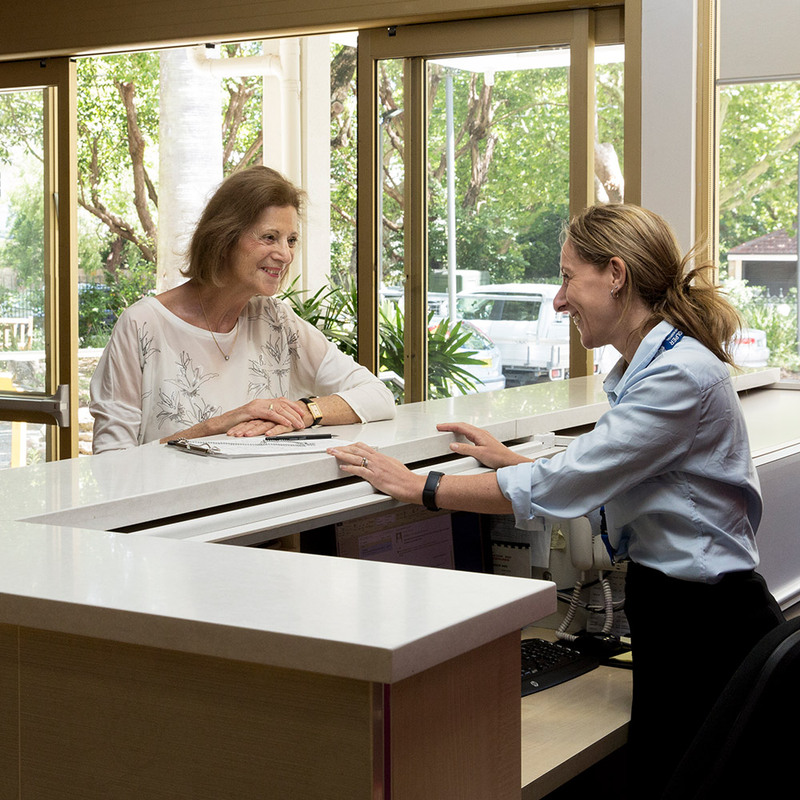 The staff at Wolper takes pride in providing excellent care and strives to ensure you have a comfortable stay. At Wolper Jewish Hospital we welcome your feedback. We encourage you to complete a Patient Feedback form which is included in your patient information pack. All comments from these forms, both positive and negative, are considered at department and management level and acted upon as appropriate. If you have a formal complaint, please address it to the Director of Clinical Services. Unresolved complaints may be directed to the Health Care Complaints Commission. Telephone 1800 043 159 or (02) 9219 7444.